What comes to mind when you think of your dream bike? 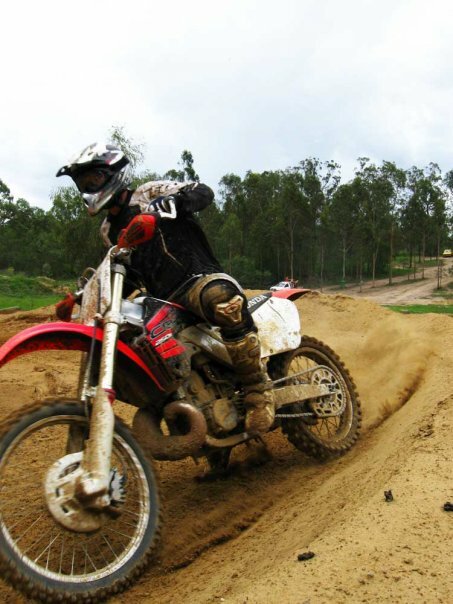 For me, it would have to be a 2-stroke, hence why I started this blog. It would also have to embrace all the aspects that make us love 2-strokes, such as lightweight handing, exhilarating power and of course, the amazing exhaust note. 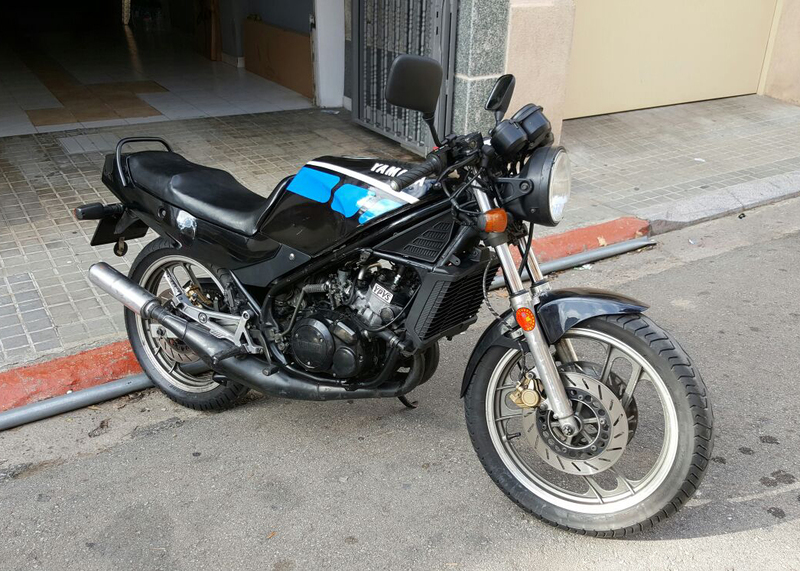 My 1986 RD350 YPVS in Barcelona, Spain. Although I am only 27 years of age, I have had the pleasure of owning a number of different 2-strokes in all forms, such as 250cc supermotos, 125cc & 250cc mx bikes, as well as street bikes, such as my NSR250. However, my most recent purchase, an RD350 YPVS got me thinking how it would be to own a highly modified, larger capacity twin in a supermoto body. What got me thinking more about the idea was when I spotted this sand-drag monster at the Grasstree Beach Races last year, featuring a YZF frame with a highly modified, banshee-based twin. Whomever owns this certainly has my respect! 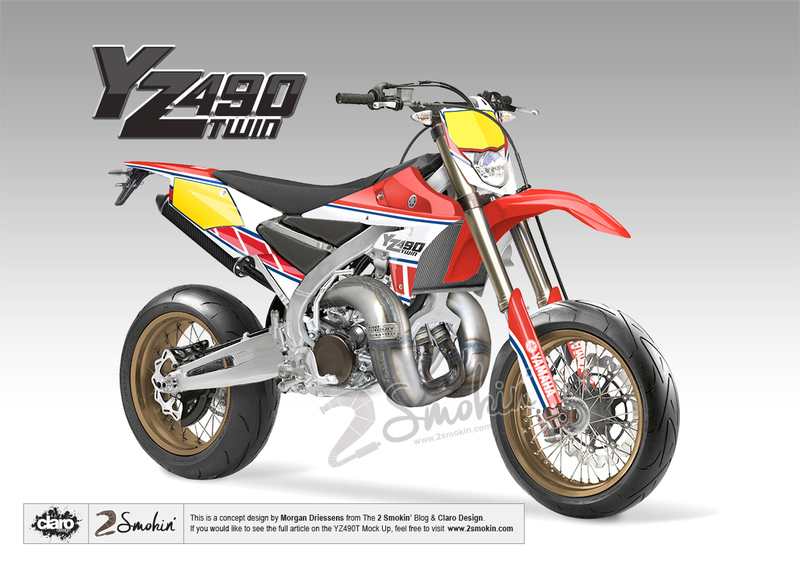 With this in mind, I present to you my YZ490 Twin Concept. A 490cc 2 stroke supermoto conceptual idea. With the aesthetics inspired by Yamaha’s traditional race colours, the YZ490 Twin would be powered by a 490cc, injected twin 2-stroke engine. The aim would be to provide smooth, programmable power through the whole rev-range, whilst remaining within the tougher emissions laws. 100hp+ would be more than achievable with this type of setup, and with the bike still remaining relatively lightweight, I don’t see why the YZ490 couldn’t be competitive against other supermotos, at least in more open tracks. 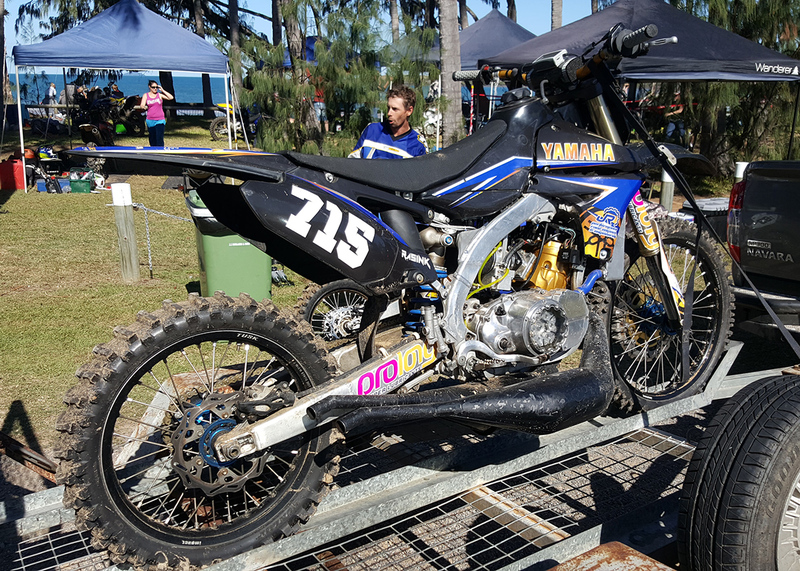 Finally, as cool as concepts are, it’s always great to see people that have made their dream a reality, like how Framecrafters Inc have built this great YZ450f/Banshee hybrid, featuring a Tony Doukas Racing 465cc engine, pumping out 110hp!